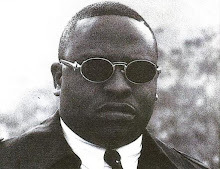 G-Low is a rapper from the neighborhood of South Park in Houston, TX. He has been rapping since the age of 13. He was also part of a upcoming group but they separated over financial terms. This is his debut album and it was released in 2000 on Worldbound Entertainment. Production was skillfully done by the great Mike B while he is assisted by the likes of Rakesh "Roc" Jacob and Bruce "Eightball" Lattin. The beats are dope and very melodic. 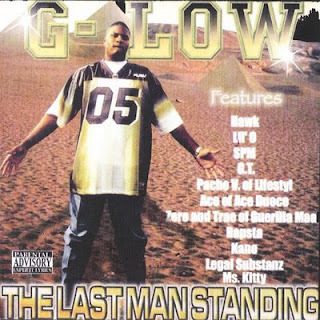 G-Low's flow is fast paced and he can catch the beats with ease. Featuring on the album is Legal Substanz, Z-Ro, Trae, GT, Rapsta, Kano, Hawk, South Park Mexican, Lil' O, Ace Deuce, Ms. Kitty, Kiotti, Choc Stilli, Ghetto Mob, Mr. O, Ms. Kitty, Pancho V, Semo Stylz, Showtyme Spanky D, Sweet P, Warren B and Wicked Crickett. A solid record overall that maintains its' commendable content all throughout. It also includes two bonus tracks, one of which is chopped & screwed.